Coffee! We all love it and America runs on it, but the real question is whether it’ll stain your teeth… Many college students need that extra caffeine to get them through their vigorous schedules, however are we potentially at risk of yellowing our teeth? I know I personally need a coffee almost every day to give me that boost in my morning classes but just how risky is it? 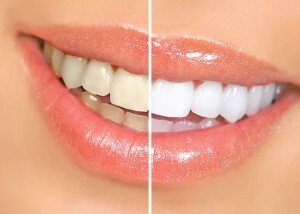 A wide smile with pearly white teeth is the ultimate goal, whereas yellow, coffee stained teeth is nothing to ask for. According to Wendy J. Woudstra from Colgate, if students don’t take the proper precautions after drinking dark fluids and acidic drinks some of which being soda, coffee and tea, they are at risk of causing yellow stains that are much harder to remove opposed to preventing them in the first place. Many students deal with the uncertainty of stained teeth and no one wants to face the embarrassment of smiling and realizing your teeth are yellow. But also no one wants to arrive at their 8 am math class and feel like the they have 20 pound bricks pulling their eyelids closed. In order to deal with this issue and prevent the yellow stained teeth, you must take the proper precautions. Still drink your coffee but brush your teeth or rinse your mouth with water as soon as possible afterwards in order to wash away the pigments deposited onto the surface of your teeth from the hot beverage. Every morning upon waking up I brush my teeth, pack gum to avoid coffee breath (another coffee factor), always carry a water to rinse my mouth, and re-brush my teeth as soon as I get the chance again after my day to day classes. Brushing your teeth after encountering dark fluids like coffee can diminish the possibility of stains that may arise if you don’t act accordingly. In addition to avoiding stains, a whitening toothpaste can also be a wise choice to reinsure white teeth. I want to avoid staining my teeth and prefer to keep my teeth looking white at all costs, and simply by taking some of these easy precautions you can still enjoy your daily cup of coffee while maintaining your teeth. A win win. As we all remember the middle school days of braces we can also remember the orthodontists warnings for us. Pretty much that when we get our braces off it will be noticeable whether we too care of our teeth or not. Some kids and adults are left with spots from their braces after they’re removed. Many of them who drank dark fluids with high acidity levels, such as coffee, are responsible for those marks since they didn’t take the proper precautions. This is why orthodontists always advise their patients to avoid sugary foods or drinking dark colored drinks (coffee, tea, soda, etc) for the duration of the braces. There’s a chance that if an individual doesn’t properly brush their teeth after eating or drinking, stained teeth will be the end result. Moral of the story is to brush your teeth often after a coffee and take the extra precautions in order to avoid having any stains, yellow teeth, and even bad breath. Yes coffee can stain your teeth, but those stains can be avoided as long as you don’t let the leftover coffee pigments sit on your teeth all day long without appropriately cleaning them. Stained, yellow teeth and bad breath are not the most desirable look, so play it safe and take care of your smile before it’s too late. I hope now you can drink that cup of coffee without putting your teeth at risk! This entry was posted in Uncategorized on September 16, 2016 by Hugo Almeida. I am so happy I chose this article because I am a big coffee drinker, sometimes up to three cups a day. It doesn’t help that Starbucks takes meal points. Anyway, this advice is super helpful, now knowing that my coffee should always be followed by a cup of water. I know personally I have trouble doing this, but tea also has Caffeine in it. Try replacing one of you many cups of coffee with a cup of tea tea which is not only healthier for the body but may also give you the same kind of boost that coffee does. There are many arguments (http://www.medicaldaily.com/health-benefits-coffee-vs-tea-which-one-better-you-309556 – sorry I am not sure how to do live links in comments!) of which is the better option, the infamous tea vs. coffee debate, but I feel like an alteration is the perfect balance. 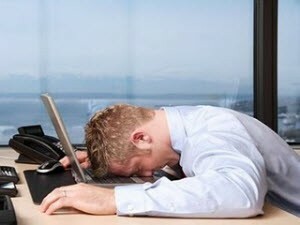 I enjoyed your post because I was an avid coffee drinker until about 2 years ago. Even when I was younger and my parents would make coffee with breakfast I would always want some. Also I worked at Dunkin Donuts during my sophomore year and the picture kind of caught my eye. What I find interesting about coffee is that it’s viewed as a superior source of energy when in reality you could get much purer energy from eating a couple pieces of fruit and drinking a glass of water in the morning. Breakfast is an important meal yet many disregard it and replace it with a cup of coffee. To add insult to injury, it really does stain your teeth! If your going to drink coffee, at least look up and practice called “oil pulling”. It will help whiten those teeth and get them back to being pearly whites. Below is a link explaining what oil pulling is and how to do it. As soon as I saw the title of your article, I knew I should read it. I am a big coffee drinker. I used to get coffee as a social activity on the weekends with my friends and have coffee dates, but I now consume coffee or espresso much more frequently. I do not have it every single day, but only take off one or two days a week. I am glad that your article gives good advice towards salvaging your teeth, because at the end of the day, I am still going to want my cappuccino!